I returned from a 8-day business trip to NYC Friday night, then the next day started in full swing. 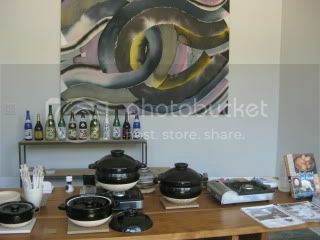 I went shopping for ingredients in the morning and got ready for a donabe event in the afternoon. 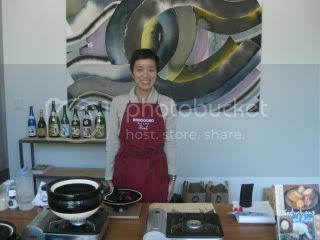 On Saturday, I hosted a cooking demonstration with double-lid donabe rice cooker, KAMADO-SAN, at Cookbook in Echo Park. 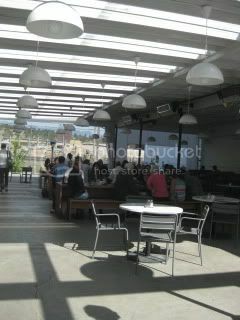 Cookbook is a very popular gourmet store with strong focus on top-quality products. 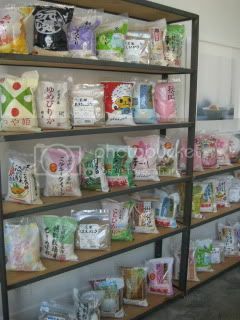 In their exhibition space, more than 50 kinds of imported rice from Japan were displayed as part of projects by Common Grains. 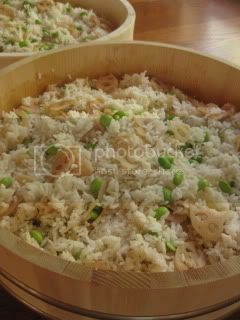 I made 2 kinds of rice dishes (tori soboro gohan, and orange butter brown rice) and so many people came to see the action and taste these dishes. It was a lot of fun! 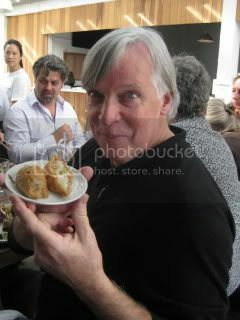 On Sunday, I was part of charity luncheon in conjunction with Common Grains' charity panel discussion. 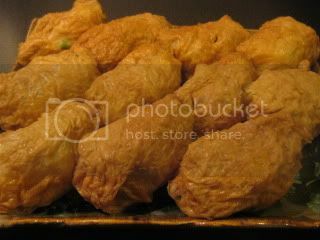 I got to make inari sushi with Anson Mills' hand-picked new crop herloom long grain rice (Carolina Gold Rice). 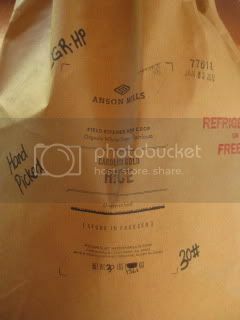 I made two batches of sushi rice with Anson Mills rice with jumbo-size Kamado-san! 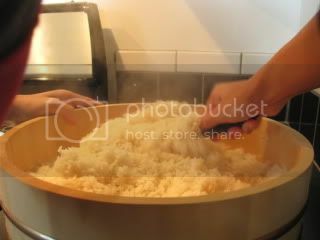 The rice was seasoned with the mixture of brown rice vinegar, raw brown sugar, sea salt, fresh yuzu juice and ginger juice. 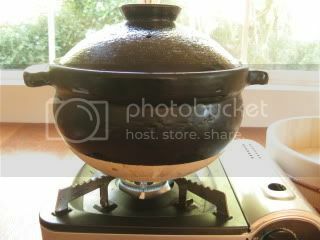 The aroma was superb! 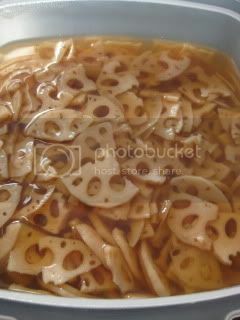 Then, it was mixed with amazu-pickled lotus root (I marinated overnight) and edamame. It came out really great. 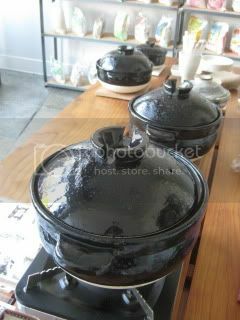 Because the rice was cooked in Kamado-san, it turned out really fluffy and aromatic. 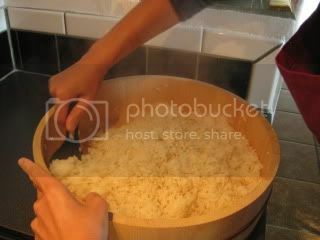 Rice tended not to stick together like short-grain rice, and it fell apart nicely once inari was popped in mouth.